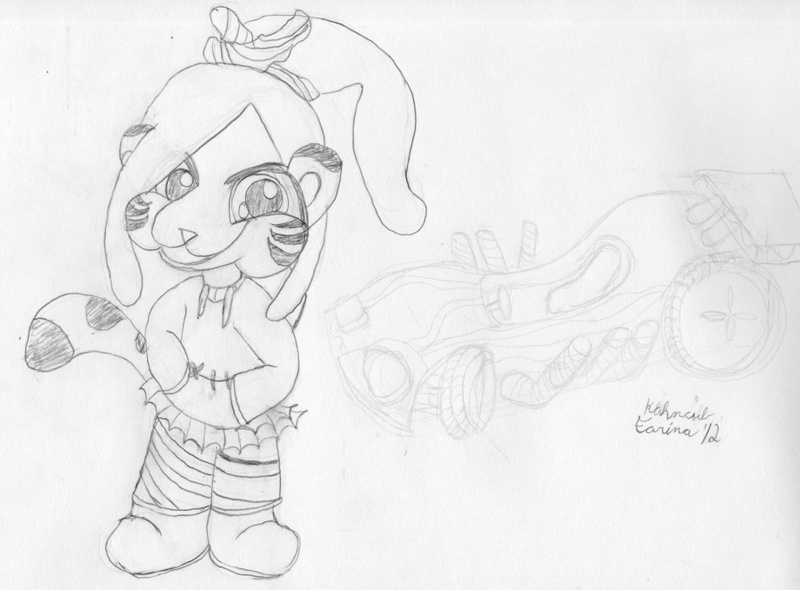 I got inspired after seeing Wreck-It Ralph to draw the character, Vanellope Von Schweetz. But it was also an opportunity to try drawing Kahncub as her, so I took that. I left in my rough sketch of her kart. I don't think I'll finish it just simply because there is SO much to capture with it @__@ Also no plans to color it, or I'll feel compelled to pay more attention to detail on the cart again.